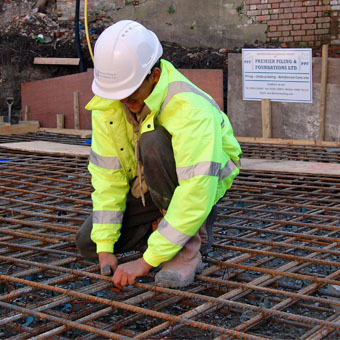 Whether you are tendering for a new contract that requires piled foundations, or your current project has ground to a halt due to unforeseen ground conditions, PPF can offer you their expertise and provide the support you need. As piling specialists we offer you a one stop shop, managing the design, full construction drawings and build to deliver you the most reliable and economical piling foundation solution. Alternatively we are happy to just carry out the construction work and assist with your requirements, working closely with your architects, builders and structural engineers. With over 50 years experience in the construction and civil engineering industry you can rest assured you are in the very best hands. With our own fleet of specialist piling equipment, we have the machinery and the expertise to construct fast and efficient piled foundations not only on an open site but also where access and neighbouring buildings may be an issue. We are also able to resolve any problems in the ground quickly and efficiently, providing you with a first class, reliable service that will meet your requirements on time and budget with a neat and tidy finish.